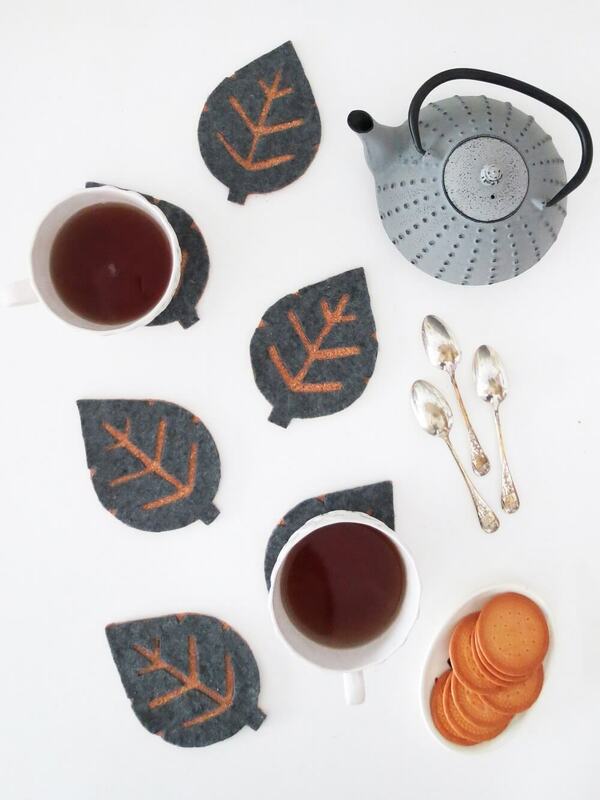 Learn how to make your own fall inspired diy cork coasters! 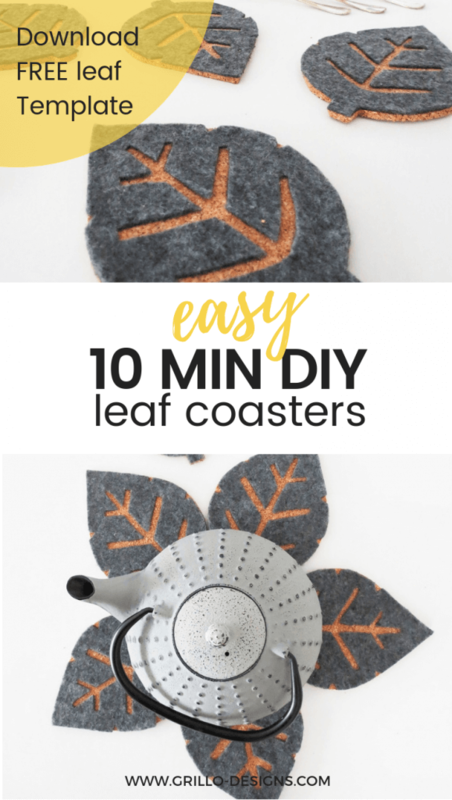 This tutorial includes FREE downloadable leaf templates so be sure you have a printer to hand! Hi! It’s Amaryllis here from Ohoh bog. Its starting to feel a little chilly over here (here being Mexico), but nothing to complain about yet. I love the beginning of fall. You can start enjoying all the those typical winter things like, snuggling under a throw to watch TV, wearing boots and chunky sweaters or enjoying a warm drink at any moment of the day. Cutter – X-ACTO knifes like this one are great for crafting! 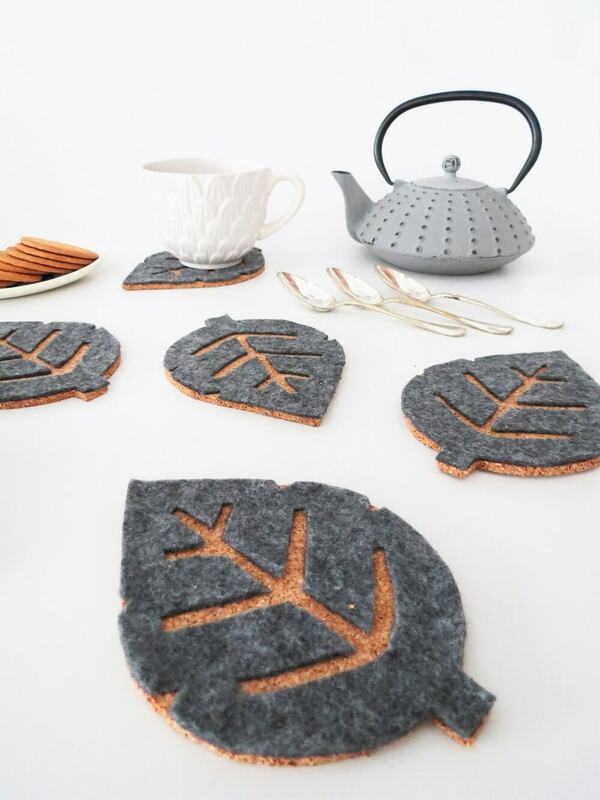 Start by downloading and printing the leaf shapes. You will find two different leaves patterns on the PDF. The coasters are made of two layers, one cork and one felt. So the first shape is for the felt and the second shape is to cut he cork. Cut the pattern leaf for the cork and place the shape on the material. 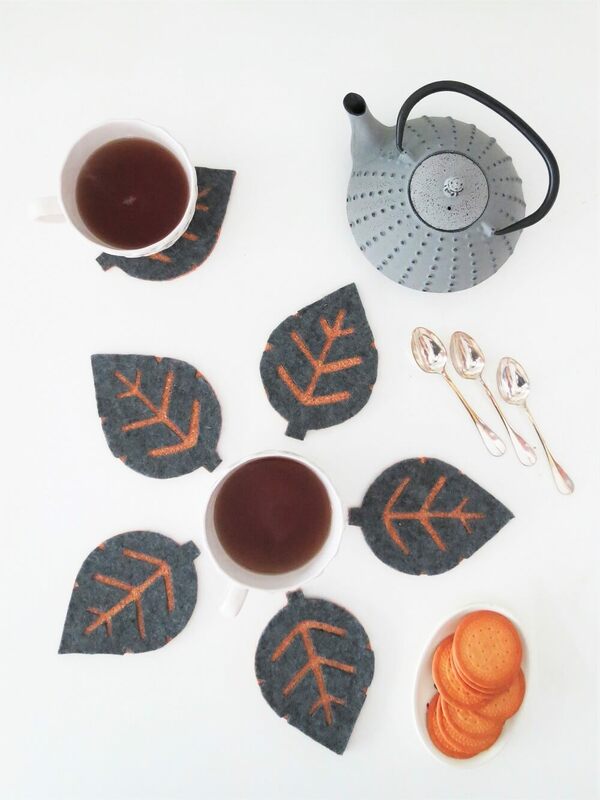 Draw as many leaves as you want coasters. 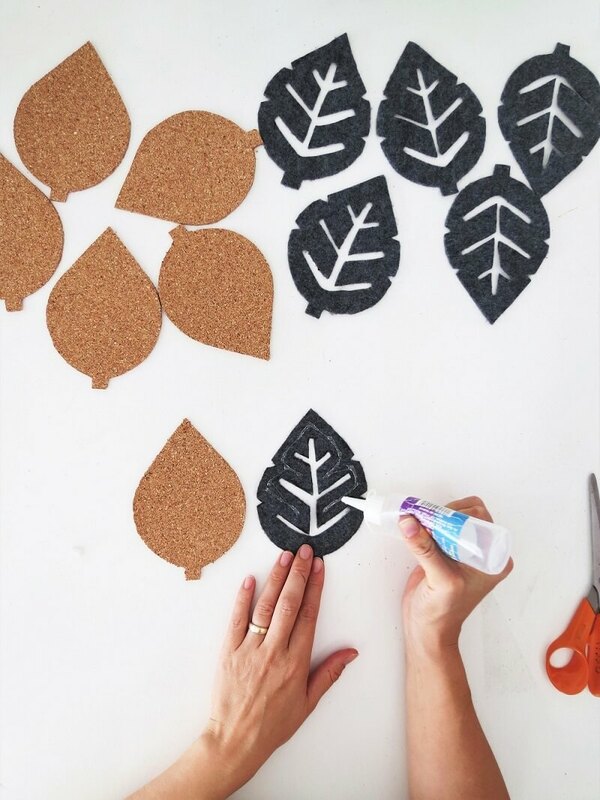 Using the x-acto knife , cut the leaf shapes out of the cork. To make things easier, be sure to use a sharp blade. 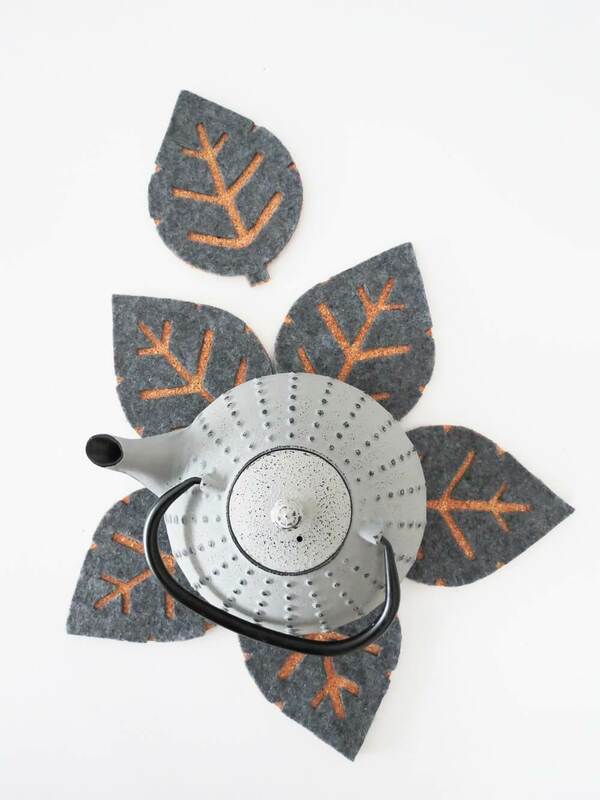 Place the pattered leaf template on the felt and draw around the shape. It’s a little tricky to draw on felt, usually thin sharpie works great. 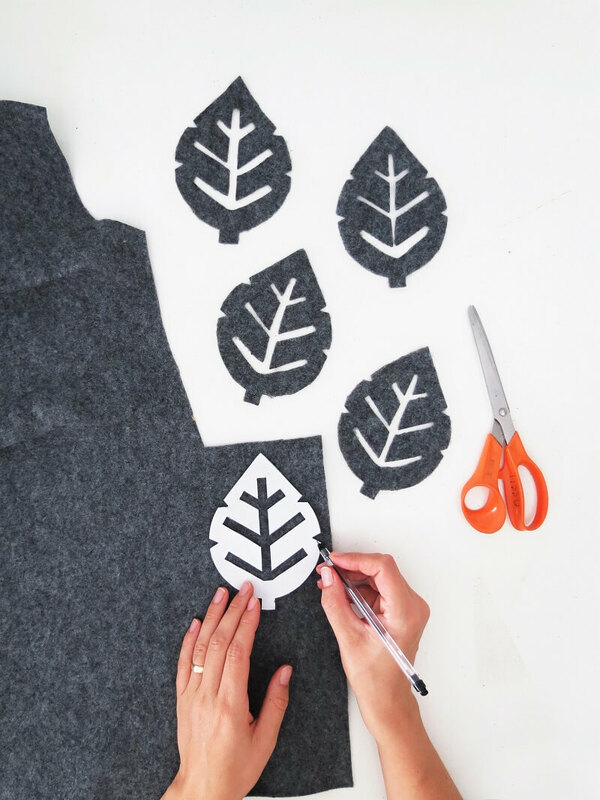 Use fabric scissors to cut out the leaf shape. 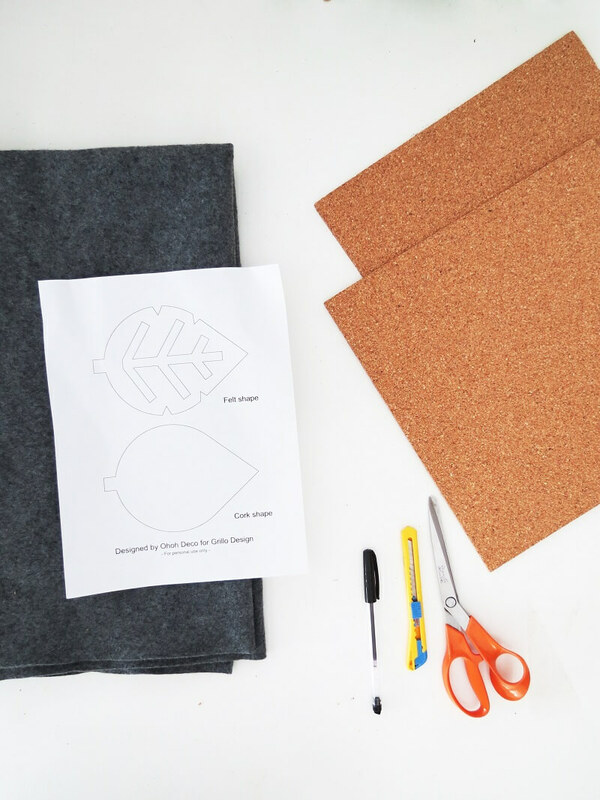 To cut the center shape of the leaf, make a little incision on the center to slide the scissor tip through the fabric and then cut, following the lines. Flip over the felt shape and glue the backing. Be sure to put the glue on the whole surface to ensure good adherence. 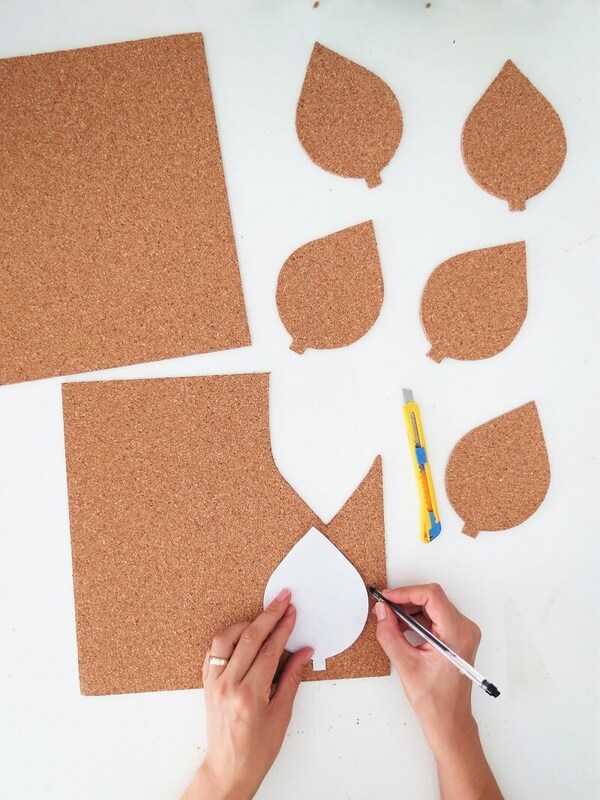 Place the felt shape on top of the cork shape and lave to dry. I placed the diy cork coasters under a heavy book to ensure they maintained flat whilst drying. 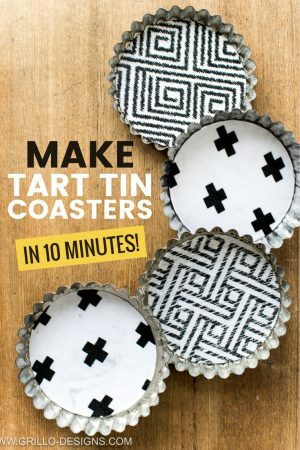 And your diy cork coasters are done! Now make your favorite warm drink and enjoy! 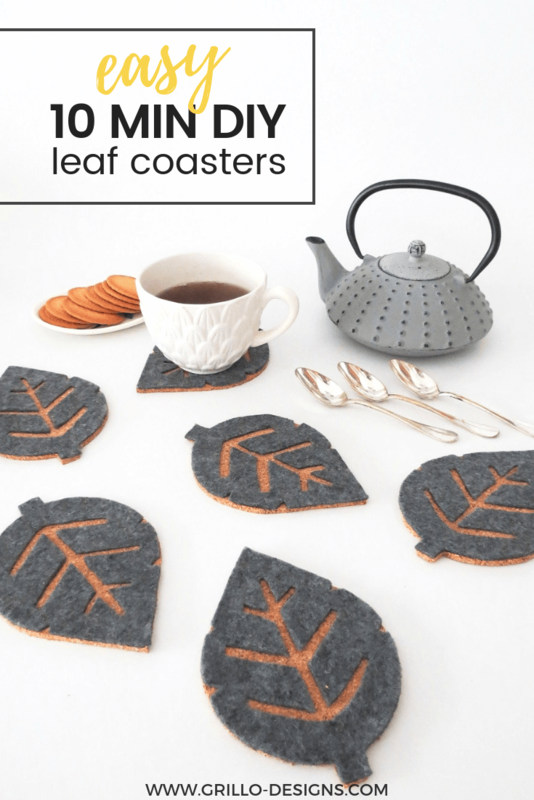 HAVE YOU EVER ATTEMPTED TO MAKE YOUR OWN COASTERS BEFORE? I WOULD LOVE TO KNOW N THE COMMENTS BELOW! 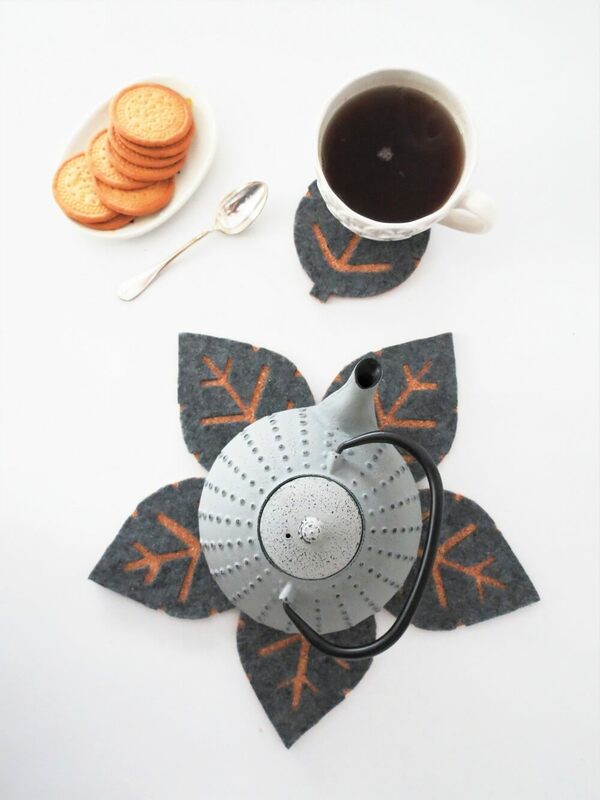 Amaryllis is a DIY addict and the creative mind behind Ohoh Blog. 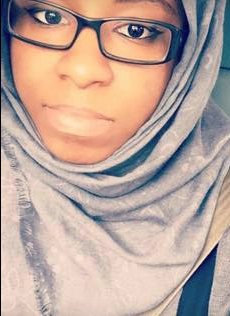 She likes to make home decor, lighting, and furniture projects. 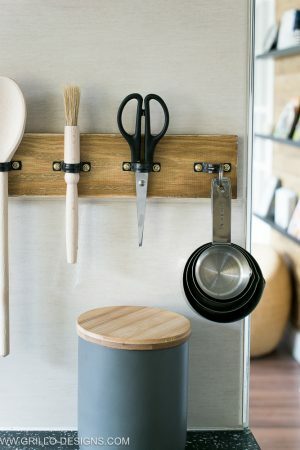 It could be painting, sewing, drilling…no matter the technique! 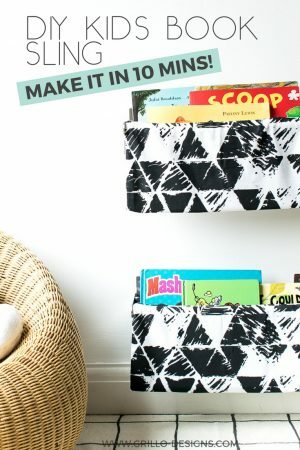 Whatever she has on hand is inspiration to create—feeding her serious addiction to upcycling. We love when you share on Pinterest! 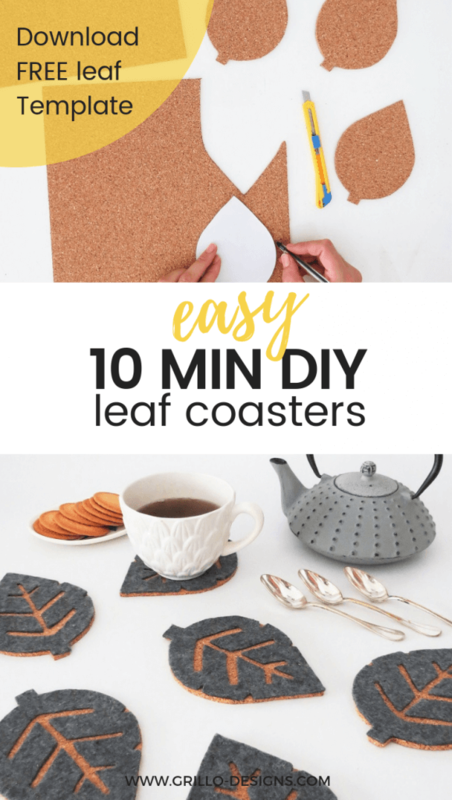 Save this DIY CORK COASTERS TUTORIAL for later by pinning the below photos to your boards! 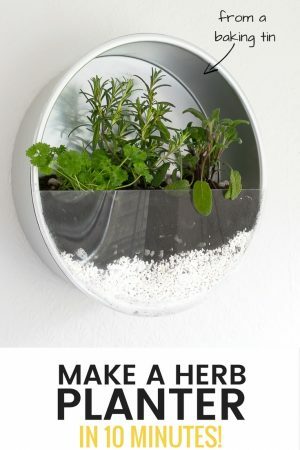 Check out some of our 10 MIN DIY ideas!